Being open-minded is always on the top of the list of when it comes to traits and habits you need to acquire to be a happy person. Narrow-minded people have difficulties to stretch their thoughts, knowledge, and ideas beyond a self-constructed boundary that prevents them from seeing varying aspects of a situation. They often view certain actions or situations with only one outcome and forget all the other possibilities that could be — if only they let them be. 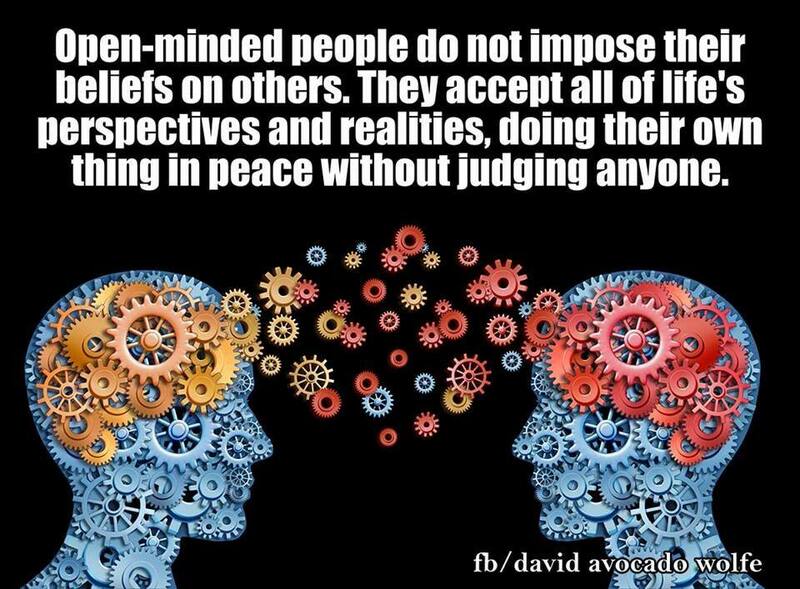 What makes open-minded people so open-minded? Here are common traits that are characteristic of this charismatic quality. The ability to think of things from various angles and viewpoints allows them to accept more. For example, they may not view a rebellious youngster as a “teenage waste of space”, but rather someone who may be having difficulties dealing with inner turmoil. 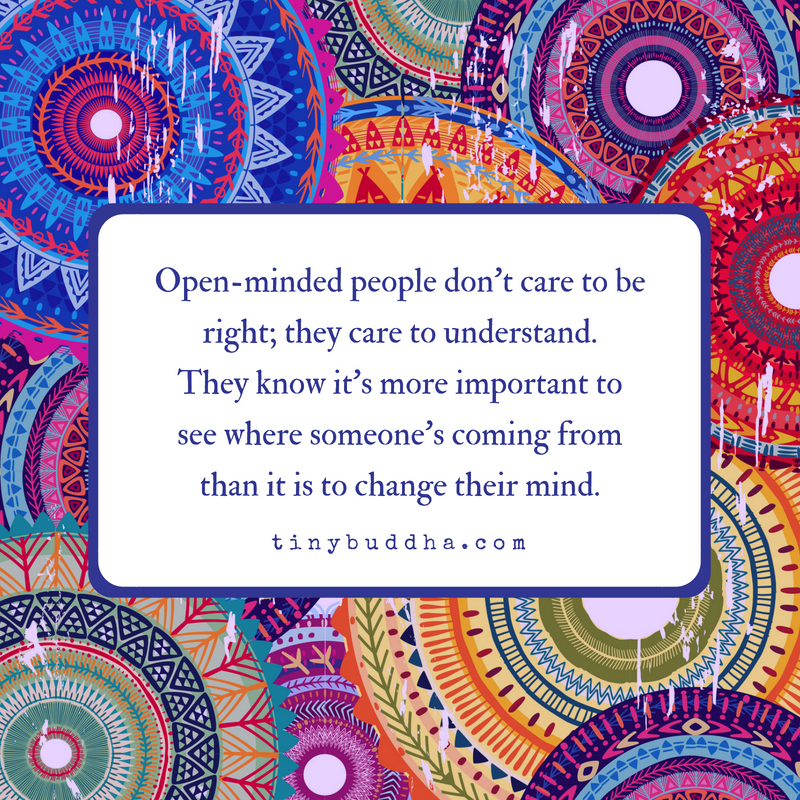 Open minded people all willing and able to embrace change with open arms because they see various possibilities and outcomes, rather than judging it from only one angle of “experience”. 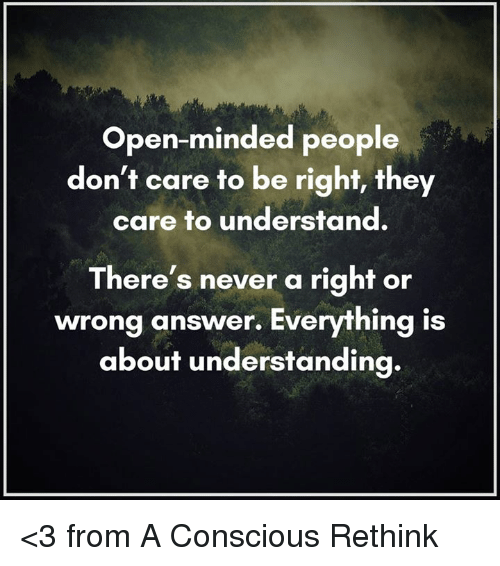 Open-minded people have a natural ability to want to know more about something. They tend not judge an idea that may be presented to them with only what they know. They prefer to inquire, learn, and perhaps even discover new insight into something they were previously unaware of. Open minded people also love trying new things. You can call it curiosity or willingness to embrace change, they don’t mind trying out a new place for dinner, or making new friends, or having a new hobby to look forward to. Open-minded people are willing to listen to someone without judging them or jumping to conclusions before they have finished. In that sense, they make the best listeners. It’s okay to be opinionated. Of course, everyone has an opinion. But making viewing your opinion(s) as the only right way to see it is not characteristic of open-minded people. They have a good understanding of the fact that they don’t have to agree with everyone or vice versa. One of the key characteristics of open-minded that makes them lovable, respectable, and admirable personalities is that they are open to people’s values, beliefs, and differences. They not particularly fond of “racist” or “biased” views—and they believe that differences are what make everyone unique—which is a valuable quality. They don’t like putting tags on people such as “white”, “black”, “ugly” “hot”, or “cheapskate”. They have a good understanding of people’s differences and respect them as best they can. Open-minded people try not to dwell on the past too much –because those mistakes or regrets were opportunities for betterment. They also trust that everything happens for a reason. Furthermore, they try not to fret over the future too much either because they see so many possible outcomes. Focusing on the present and appreciating those moments of fun, laughter, joy, and relaxation is seen as far more sensible to them. They acknowledge the fact that every problem has a solution or at least a different perspective that is better than the first. This enables them to see clearly when faced with difficult situations and tackles problems without panicking too much about what went wrong. For them, problems are opportunities to learn what to fix.